How can I get an IELTS Writing Band 7? Hi, I have attempted IELTS GT module twice. My 1st time score is R-7 , L-7,S-7,W-6.5 and 2nd time score is R-7.5,L-8,S-7,W-6.5. I need to score 7 in each module. So, I want to improve my writing score. Can you suggest me any tips for scoring band 7 or higher in writing module. Comments for How can I get an IELTS Writing Band 7? 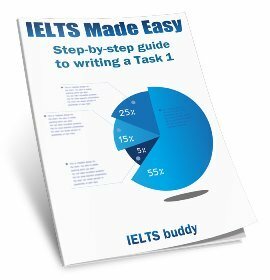 This is quite a common question – how to get an IELTS band 7 in the writing? It’s a particular problem for those who are at band 6.5 and can’t make that jump to the next band. You must be not achieving in one of the marking criteria for the writing but only the person marking your writing will know what that is. As this is a common problem, I’ve created a lesson to address it, so please follow this link. There are a few tips in there. I have given IELTS 7 times and after that I have came to this conclusion only that whatever IELTS authorities mention about grammer, cohesion etc. is just a sham. No matter what you write they will not give you more than 6.5 band score. It can be frustrating if you have so far been unable to get over 6.5, but lots of people do get a band 7 or over, so it is certainly possible. IELTS Examiners have an objective grading scale and they would gain nothing from giving someone a lower score than they deserve, so there would be no reason to give a piece of writing anything but what it should get. It can take a very long time and a lot of study to move up from one band to the next, so it may just be that you have further work to do. Good luck with the test and I hope you can get the score you need. I AM ALSO FACING THE SAME PROBLEM . I HAVE BEEN TRYING TO GET 7 BAND IN WRITING FOR THE LAST 18 MONTHS. I TOOK THIS EXAM FIVE TIMES BEFORE AND COULD NOT SCORE MORE THAN 6.5 .IN FACT ,MY SCORE WAS ALWAYS 6.5 FOR WRITING ,EVENTHOUGH SCORES FOR READING AND LISTENING WAS ABOVE 8 ALL THE TIME. I THINK THAT THERE COULD SOME POSSIBLE REASON FOR THIS ,BUT I AND MY TUTORS CANNOT FIND IT OUT.ANYWAY IT IS IMPORTANT FOR ME TO GET THROUGH THIS EXAM BY HOOK OR BY CROOK.SO I AM STILL TRYING TO IMPROVE MY VOCABULARY. How can I get an IELTS Band 7 ? How can I get an IELTS Band 7, in one week duration..? and what plan u suggest for me? This really depends on your ability. If you currently have good abilities in the skills of reading, writing, speaking and listening, then it is possible to look through a site such as this and see how things are done, and get the score you need. But if you are not currently around the 7 level, you are not going to be able to suddenly jump up to a band 7 in one week. Have a look at what is required for a band 7. As I said above, it can take months for someone to improve their language skills. If you are not currently at the band 7 level I'm afraid a week won't be enough. I gave ielts 3 times, I need to get 7 in each band, though first time i got 6 in each, second time I got 7 in each except writing and third time can you imagine i got 5.5 in speaking and writing. I was shocked and was laughing after seeing my result for the third time. I think their intention is just to make money out of international students particularly. After studying two years masters degree in Australia, Do you think person cant even score 6 in speaking. I was able to score more than 6 in speaking in my previous ielts attempts, but the third time, I was really abusing this organization. I agree with all candidates point of view. An example is my own friend from Singapore who got 9 in all modules of IELTS test except 7.5 bands in writing. He was gutted and shattered with his result because he is a native English speaker so he can speak the language through and through. He had given the test few times and always writing is the one where his marks drop down. To be very honest with you Guys, it seems to me that there is something secret in writing that ielts examiners are looking into. They are not exposing to candidates that what they have to write and which manner they have to write. IELTS is a humiliating experience for many candidates. Ielts is an exam that is punishing and pose grief to candidates. Ielts body is only after financial gain and that's about it. I should probably clarify a few things here. Firstly, IELTS is obviously a business and there is no doubt they make a substantial amount of money as there are tests going on around the world every week. However, I don't think they need to do anything underhand to make money - there are so many people taking the test, why would they need to?? The other point is that there is no benefit to examiners to give you an unfair score. They get paid a fixed rate and there is no gain whether they give a candidate a high or low score. In fact, IELTS is set up so that examiners need to be accurate. If an examiner is giving candidates low scores for their writing but the same candidate is getting much higher scores for their other modules, this will get noticed. So the examiner needs to be as as accurate as they can. When candidates are practicing for the test, you'll be surprised how many high level candidates do score lower than expected in the writing. There are certain tips and strategies that you need to be aware of (that you will find on this site and others), but even the best candidates (even native speakers) with great grammar can misunderstand the question and get a lower score. So yes, IELTS is a business and they must make a lot of money, but I don't think there is any conspiracy going on to give people low scores as IELTS don't need to do that and it won't benefit the examiner. Unfortunately getting an IELTS band 7 is difficult, especially if your grammar is not strong. I'm sure it can also be upsetting and frustrating for people who are trying to achieve this but it is taking time. I was frustrated to find that I got a 6.5 in my reading, I won't pay another £130 for a test which infact is quite belittling. My friend has written the test more than 10 times in past one year. Always, there is a 6.5 score in writing, whereas the other sections are always above IELTS band 7 or 8. I really feel very bad. He studies well, gives lot of time on his preparation. Keeps revising the rare topics which are asked for writing. But I am sure, a person who takes the exam once, scoring 6.5 would obviously try to concentrate on his weakness the next time when he/she gives the exam. And after writing 10 times, the person will obviously know, where he tried to improve and what to improve. There is very little chance that a person writes the same style all the 10 times :( Then how could it be that all the 10 times there is a 6.5 score in writing. I don't agree at all with the way the examiner looks into it that there is something missing in someone's ability. It looks like the examiners are told what percentage to take forward and how many to leave back behind because all the 1000s who take the exam cannot reside in that country. It's very pathetic looking at the situation of candidates who take this Exam and get a just 0.5 score less to make it to PR. A person's life becomes so puzzled due to these scores, when someone is really trying very hard and not able to make it. And only little chance even if its re-evaluated. At this cost, at least there should be a percentage of vacancies sort of known to candidates the government would allow to get PR so that candidates would know if actually this exam works for their life or not. Instead many making life complicated and puzzled for a year or 2. You will notice that there is a vast difference between my writing score and scores in other modules. What do you suggest? Should I go for revaluation? It's difficult to answer that. If you had a teacher they would be best to advise you as they will know about your ability. I think it really needs to be your decision. You want to be very sure though that you think a mistake may have been made as it obviously will cost you money. As far as I am aware, it is the same price as taking the test again, so you may be better just doing that. If the score was correct, you will then be paying for the remark and a new test. It would be good if you know someone who can check some essays that you write just in case you are making a mistake somewhere. One area where I am having doubt is the word limit. Do they count each & every word or do they take the average number of words per line and multiply it by the number of lines? Also, while counting, do they take into account words like “a”, “the”, etc ? I wouldn't worry about trying to work things like that out. Just assume that they may count it all and make sure you have at least 250 words! And 'the' etc are words, so there is no reason that they would not be included. Ielts is a big business. 0.5 hindrance- pulling me down. Same story friends; I need 7 in each. Taken 4 IELTS attempts. All above 7 except in writing. I always get only 6.5 in writing. Spent 18 months and 100k. Its really painful to decide to make one more attempt or to quit. Why can't they allow us; to re-take individual module if they are not aiming at money. My weakness is grammar. I am planning to do whatever it takes to get 7 in writing. No party or social life. my score l:7/s:7/r:6.5/w:6. but i need all 7. how can i improve? i attempted 3 times..can anyone suggest. Guys, I was feeling the same way in the last 4 months, always achieving above 8 in listening, writing & speaking while getting disappointing results in reading; 5.5, 6.5 & 7.5. The trick is practicing over and over and most importantly, identifying your weaknesses. Furthermore, please try to take some time to reflect on your results and allocate suffice time to improve on the weaknesses. For example, I took at least a month before seating for the next exam and yet i only improved by half and a point. Thank you greatly for this free service in a money making world! I am a doctor of medicine, awaiting foreign training. So I am wasting my time doing IELTS close to 10 times now. Apart from initial time (R-6, W-7,S-7.5,L-7) I could not get above 6.5 for writing. Wander whether they track the number of attempts. Last time I got even 6 for writing. Now frustrated. I am interested if someone can help me improving my writing and speaking skills. I think, this will certainly need practice with someone in front especially for speaking. Writing tasks can be scanned and send it for evaluation to each other. I know all the required criteria of evaluation but one cannot easily find his own mistakes! If these are not included in essay then examiner deduct marks. Please email me at akhileshkumar17@yahoo.com if you can help me. Thanks! how get 7 bands in 12days. i want to get total 7 bands in just 12 days. I have only 12 days till my exam date so plz help me.i am waiting your answer. I WROTE 4 TIMES IELTS, I ONLY NEED 6.5 INDIVIDUAL BUT I CANNOT GET SCORE IN READING MORETHAN 5, WHAT CAN I DO FOR GETTING GOOD SCORE IN IELTS. PLSSS ANYONE HELP ME FOR READING. I WILL PLAN TO WRITE THIS MONTH JULY 27TH..... IF I CANNOT WIN THIS TEST I SHOULD LOST MANYTHINGS IN MY LIFE.... PLSS... SAVE ME. NOW TELL ME WHAT SHOULD I DO? when you clear your IELTS, make sure you cover your money. I believe , individual band should be retaken, Here is my score. i must score 6.5 to survive even lasting in my current position. How its happen is i need to further my study abroad...i think i have no problem with my subject matter plus i done my 1st degree and master degree in english...however the funder still looking for the 6.5 score. IMO, practicing helped me achieve these scores. I practiced for 3 weeks. As long as you can speak/write grammatically correct English, you can score a 7 in both writing and Speaking. When I came out of speaking test, I felt I bumbled but I was happy to see a 7. For Listening, you need to practice to know the nuances. Reading is the easiest of all as all answers are there in the Q bank itself. All you need is the strategy to answer different types of questions. IMO, all sections need practice. Listening: There are a lot of free sample tests available in the internet. Take as many listening tests as you can. Follow the instructions thoroughly. When they give time to read questions, do what they say. Don't lose concentration thinking about other sections. Here just read the questions alone and as you follow the script, write your answer and then chose from the options listed there. Don't read the options as you will be concentrating to hear about the options. That's an area I improved. Otherwise listening section is easy. Writing: Practice essays on your own by sticking to the time limit. Write a topic everyday. After writing, google for more points. That way you will be able to remember what points you had missed in the essay. Again here, grammatically correct sentences is a must. Reading: The section that can be confusing is when you have to mark it as T/F/Not mentioned. Otherwise, all other sections have answers well within the passage. Reading is the easiest of all. 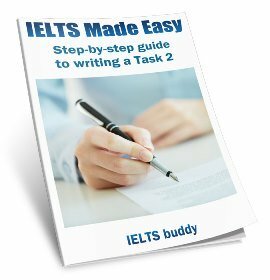 how can i get ielts 7 in writing? I have given my last test 4 months ago without much any practice. my scores were L 8, W 6.5, S 8, R 7 But this time I need 7 each. can I get it after 1 month practice. what are the most important tips for writing? I can't say if you can do it - without seeing your current level of writing it is too difficult to say. But of course it is very possible - you are now at 6.5 so you are nearly there. Again, telling you what to focus on is difficult to do because I don't know what is wrong with your writing. Can you get someone to look at it? If the grammar is bringing your score down then you need to focus on that - but that will be more difficult to improve in one month. It could be that you are not answering the question properly or have some problems with organisation. I just picked up my results. This was my third attempt. I had the most easiest topic as essay for the test. I was extremely confident this was going to be my last try. After quitting my job to work day and night practicing, spent loads of money on tutoring, I find myself with a result I cannot comprehend. I have followed every advice my tutor has given me. Used linking words, coherent phrases, context related vocabulary, inspite of all this I got 6.0. I can't digest it. My mind is confused right now between reevaluation and resit. You mean that if some one gets 7,7,7 in 3 parts of the writing test and in one of them if he/she gets 6.5 then overall writing band would be 6.5 not 7 ? There are 4 criteria for the writing and you can only get a whole band for each of those. So for example if you got 7,7,7,6 for your essay, the overall ESSAY mark would be 6.5. Of course you task 1 would need to be included as well. Believe me guys its a business. They are just taking advantage of someone who is struggling with his/her career to earn money. Toefl never does that. It might be because toefl is USA based and IELTS is UK and Australia based. Toefl is a fair exam, IELTS is not for sure. i dint get 7 in writing although i gave exm 3 times. Is it just money taking? I know a few people think this. I don't have the answer but I don't think there is a conspiracy. Of course it is a business and they make A LOT of money, no doubt. Thousands of people taking the test every week. But it is examiners marking the test, not the managers of IELTS. Examiners have nothing to gain by trying to give you a low score. They get paid the same whatever score you get. And examiners have to strictly mark to the marking scale - they can't just start giving people lower or higher scores than they should be getting. Of course mistakes can happen and an examiner could give someone a score they maybe should not have got but if you think that has happened you need to ask for a remark. Unfortunately it does cost though. Anyway, sorry to hear you have to take the test again. Thanks for all your reviews and knowledge sharing.as for me it's the first time going to attempt ielts.little bit scared now. I took ielts twice and still struggling to get a band 7 in writing. I do not know what expectations the examiners has in mind, I felt like I am writing poor style of english. I had given IELTS twice but i am struggling in speaking part mainly because of fumbling and stammering problem. 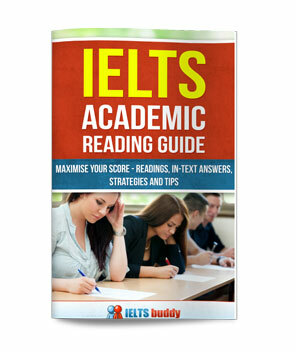 Hi everybody who are struggling to get the desired scores in IELTS. I have taken this exam twice and my scores brought me to tears.As others scored quite high in listening and considered this as the easiest part of the test,mine is the opposite.It's my waterloo.I can't consider myself having hearing problems because during my listening practices I always score as high as 8.In the actual exams I got 5.5 and 5 respectively.These are the lowest scores I've ever seen in all the posts that I've read on this site. I got 6.5 and 7 in writing,5.5 and 6.5 in speaking ,7 and 5.5 in reading. I don't believe my English ability is as poor as the way I performed in the test because I am not relaxed when I took both tests.Definitely,it has a considerable effect on my performance. Although IELTS can be a basis for assessing one's proficiency in the English language,I think the examiners should not be that strict in their assessment.Even native English speakers committed mistakes in the way they speak and use the language. As of now I am hopeless.I am not decided if I can still take my third attempt.I am jobless and paying for the exam fee is really a problem.Really ,IELTS can make or destroy one's dream. I practiced as many question papers I could get my hands on. I do believe that they do strict marking in the writing section , so guess more practice is required there. I have taken IELTS general training test two times and to my surprise my result was unexpectedly poor. I am shocked to my poor result.Even second time i got the unsatisfactory result. I am sure that something is wrong. during test practice i score above seven but in real test they beat me. Oh surprise.......! Was taken aback to see my GT Module Scores esp. in Writing. Not sure what pattern they follow in evaluating an essay and a letter. They should have those standards for English Faculty going to UK, Aus ..and not the general public. okay, here is my story. I sat ielts three times recently. And the first time i took that exam was three years ago, back then i graded L R W S 8 8 7 8. As my transcript is expired, i need to sit another ielts this year to lodge my application for immigration here at Australia. Ironically, i took three exam my listening reading and speaking were all 8.5, but my writing score even falls to 6.5. I felt totally gutted, three years past i felt my english has improved so much that it is definitely better and more proficient compared to when i first came to Australia. And my ability to use the language has gone so far which is not what i used to be. BUT!!! the writing result was so asymmetry with my scores in three other parts. i sat three times this year with the rest being 8.5 only writing 6.5. Got my ielts result yesterday.. Believe me guys these people wont give bands in writing and speaking even though both of them were near to perfection in my case. Rest u can figure yourself..
Hi, I have appeared for the IELTS exam for 3 times. Though I am not a strong candidate, I don't deserve a 4.5 score in the reading section. Last time I got 6.0 overall(L/R/S/W = 6.0/4.5/7.0/6.5).. I don't understand exactly what to do for getting a handsome score in the reading section. Please, help me. If i get minimum 5.5 band i can go to australia for diploma Course. I got 8 in writing. I had private tutors to get me through. You can try TOFEL and PSET, all of the univesities accpet them as IELTS. I took the IELTS test more than 8 times, I finally got Speaking 7.5, Reading 7, Writing 8 an Listening 8.5. I hired some private tutor for intensive programmes. If you asked me how I could get 8 in Writing, I would say "I don't know". I used to get 5.5 in writing but jumped up to 8 which is out of my expectation, I think the marker made some mistakes. I'm a published author (papers in peer-reviewed journals), scientist doing my PhD in Canada and probably my cursive handwriting was my downfall!!? Hey I gave IELTS twice not getting minimum 7 in writing. Please guide me I am again giving it on 8th may. 6.5 Writing, 8 Listening, 6.5 Speaking and 6.5 Reading. However, I am very much assertive to score individual 7 or even more this time as I have done lots of practice and did IELTS course in British council. I got some tips from my BC faculty and used the same in this attempt. Lets see the result. Practice, practice, practice. There are no shortages of practice test available. Of course most of the good ones you have to purchase. Don't try to save here, buy a few test. Keep practicing and you won't fail. Again, practice is key here. speak to yourself, speak with friends; watch listen to english TV and Radio stations. Again many examples of essays are available in IELTS preparation books. Look at the style of writing and try to mimic. Keep doing this over and over again with difference essays. Don't make silly mistakes especially when it comes to punctuation marks and spelling. I need guidance for reading and writing. Can somebody advise or guide me for reading and writing. I need minimum 7 in order to register myself as nurse. It feels miserable and now I am loosing hope as this time also I could not score the minimum bands. Can anyone suggest me good Ielts practice materials. I have practiced Ietls 1 to 9. But my practice score remains 6.5 in reading. If anyone can help me for reading and writing it will be a huge favour. I have taken my IELTS exam (First Attempt) on April 24 2014 in GT module. I am happy with the results as these are my dream scores for immigration!!! 3rd attempt same score as previous score. Not getting increased. So Depressed. Need 7 in writing but getting 6 again and again. Have given the third attempt and waiting for the results. Speaking can improve only by speaking constantly. Have someone correct you instead of just speaking in front of a mirror. My friends would Whatsapp me and I would reply with my feedback. None can help you in Reading & Listening, it's all about your own preparation. Meaning, the more you practice, the better you get at it. I would highly recommend purchasing the practice material from Cambridge ESOL. If you're a low scorer or a naive, give yourself 3 months at least to complete the course. If you've written IELTS and missing by a few, then go over the need-improvement ones within a month and give a shot. Within a little smartwork, one can improve 0.5 bands easily in any module - Reading being the most difficult. ME having Exam in next month GT please tell me few recently asking questions in Speaking and how the process is going on...and hw to prepare for exam. I would like to take today about my (ILETS) next exam. I'm very afraid to not get my desire band which it should be 4, my biggest worries in writing section. My concern in words spelling, I would like form someone to score me in writing….. If you are appearing the test through IDP, you would definitely be knocked with a score of 6.5 in either reading or writing. My friend appeared for his IELTS exam through IDP testing center and he scored as follows. I have seen a lot of cases where in IDP purposely knocks your score to 6.5 no matter how good your communication skills are and your plans for immigration are kaput. He then reappeared for the exam from British Council and he got through. His Scores were now as follows. You can check blogs wherein you could hear similar stories about IDP but not one against British Council as they are fair in their work. Nothing personal against IDP, but I think they should be fair in their assessment and stop such malpractices. Failing Candidates has become a 'Milking Cow ' for these Institutes...and they are making Lots of profits with such silly cheap tactics......I know a person who got his band Increased with 1 point in writing by applying for Revaluation....If such instances happen then the correcting invigilator has to be penalised for such grave mistakes....bcoz.....had my friend not applied for revaluation his score would have remained less and he would be uneligilble for EOI. One more point is ....I see certain people struggling with reading Module but they would have cleared Writing (Astonishing)...and here I have Cleared Reading which is toughest but I am stuck with writing....My opinion is if consistently a person is failing in Reading...then he would not clear the Writing module atleast once of the Four attempts he would have made overall....but this is not the case. I don’t know how to cross this hurdle….came to know that from November TOEFL will also be considered for evaluation…. should i go for remark? Its my second time and i took this time from AEO. I appeared in the tests after going through the free practice material available in the British Council website for registered examinees. In the test, I spent much time on the eatlier parts of the Reading section and had to rush through the last part, leaving no time to revise. Similarly, spent 30 minutes for the letter and wrote the essay really fast, leaving it unrevised. Scores for L, R, W were better than expected: 8, 9, 8. I thought my speaking test went well but i got only 7. I think the scores are bound to be different at different attempts, not necessarily in the improving order, because one performs differently at different times. Listening and reading scores are objective. Scores on writing could be a little subjective. I did write well earlier but hadn't written anything like essays for several years before this test. Didn't practice writing but did read some sample topics and essays. I followed the rules -- write 5 paragraphs: introduction, body of 3 and conclusion; don't copy expressions from the question; don't repeat vocabulary and expressions; don't write big words without being sure of their suitability etc. So I think these things helped. I really had not much clue about the speaking test. The samples in the few practice material seemed preliminary. If the interviewer himself/herself gives the scores, then I think it is bound to be too subjective. And it might even help if you take the test in a country where good speakers are rare. Could anyone throw some light on how to improve my writing Band. I am attending this test again on Aug 16. lets hope for the best..
Did prepare for 1 month only. Feeling lucky to cross 7 in all section in first attempt. for preparation tip, just keep in mind, be natural and don't memorize. I took the IELTS four years ago, and had an acceptable score for the Visa Screen application. However, I had to retake the exam last April because of its validity.Unfortunately, I only got 6.5 on the speaking test, as I did not speak spontaneously, particularly in task 2. Furthermore, I need to sit for another exam. So what I did was to practice my speaking skills every day.I took the IELTS last July.The speaking test went smoothly for the reason that, I spoke without long pauses, varied vocabulary and made few grammatical errors. Apart from that, I know that I had answered all the questions satisfactorily.Moreover,I was very confident that atleast I can achieve a band 7 in the speaking. In contrast, I was very surprised and disappointed when I checked my result online yesterday. My speaking result was still 6.5. I do not really know there basis of grading an examinee. I think I deserve higher than 6.5. I even feel that my 3rd attempt was better than my first take,when I had 7 in my speaking test. I believe that writing is the most challenging part as it is very difficult to get it evaluated every time we practice, same hold true for speaking. For me i took one month to prepare and concentrated more on speaking and writing. For reading and listening use Cambridge IELTS 9 with answers with Answers (Authentic Examination Papers from Cambridge ESOL)" that is best and i found it very close to real exam. For speaking i just focus on tenses. It is very critical to speak, not necessary to speak to the point. So just speak, tell stories, no issue if you lie. For writing, key is to follow the structure and word count. Structure [Normal opening with your opinion, pros and cons and finally conclusion] If you miss any one of these forget about getting 7 or more. Every point you made should be supported by an example. Finally use some grammar tool like ginger to check your essay grammatical mistakes and make note as normally we tend to do same in exam. Yes. Thats really true with some institutes which conduct ielts exams. I did 7 times in one institute, Each time I got 6.5 for one module and for others 7.5 or 8. It was frustrating as I needed 7 in each for OZ PR. Next time I decided to do it another institute.So I did it once there and I got L-7.5 R-8.5 S-8 W-8.. I don't see any reason for why i got 6.5 in previous place and how i jumped to 8.5 in reading and same in writing if I was that much bad in writing. When You are doing the exam in one place continuously I think they try to make money out of you. This is what I feel after my 8 attempts. Another secret is please concern about your punctuation, missing comas can drop you by 0.5. It can help you alot to get 7 or more though we ignore. Following British Council Online course completely was really helpful. Just do what they want in exam. But please don't try your exam continuously in one place, they will take the advantage of it as I feel. I know how frustrating it is. But don't give up. It is possible. and be calm on exam day and try to understand what examiners expect like punctuation. Disappointed completely with my writing results and i lost my chances for PR points.It is a real nightmare to prepare and take test again.Can somebody suggest what can i do?whether to retake or reevaluate?I have prepared in my own..Whether it is good to get my writing evaluated with instructors before taking test? Was expecting higher band 7-8 in writing but a bit disappointed. But am happy to secure 22 out of 24 PR points for CIC in my first attempt. its a very devastating process that really got me depressed for a while.. i always got a 6.5 as well, but on my second try something interesting happened to me, the result i got in my first report was a 5.5.
anyway, i just sat recently on the 16th og august, hopefully its a 7 this time. i dont know how i'd feel if i get another 6.5! That is great. Was it speaking or writing? I got 6.5 on my speaking test and I applied for re-evaluation. I am expecting the result would be out on October. I will inform you after. My chances of applying PR spoiled because of the writing section.I have no confidence in retaking the test, since i can't score even in easiest topics that came to me.Can anybody suggest some good books to improve writing skills and any online material to download. i have been taking ielts exam but couldnot get each band 7 .i did manage to get speaking and listening ,writing and reading just 6,6. Please if anyone got idea that how can i improve my reading and writing to get each band 7 plese do share could be helpful .if you know anything better which can help me to get each band 7 definetely i will follow . so, my writing does not have any issues as i have already recieved a 7.5 band in it but this is when i came to realize that IELTS is purposefully reducing score to curb migration. U have got a fantastic score except for listening which is pretty easy and there is less likelihood of errors during evaluation of answers. If u r confident, apply for re-evaluation. I just received my results today and I feel like my world is shattering. I took the exam twice already and the outcome on my Writing is very depressing. I decided to gave it a go for the 2nd time since I only lack 0.5 on my previous Writing module, however, I still acquired 6.5 on this time around.SIGH. It has been almost 8 weeks since I applied for re-marking on my speaking test. Hoping to have a minimal change. Although I am not expecting that much. I will inform you guys about the result once available. Hi guys, I am not sure if that might help, but try to use 'posh' words you will not normally be familiar with, and also, I wrote 220 words in part 1 and more than 400 in part two. Here are my results, 1st attempt. I took the tests in Australia for immigration. I do think there is some monkey business here. Regarding the vast number of candidate, I am pretty sure a big proportion of them is for resitting. So in the business motivation, manipulating scores, especially the writing one, is a plausible and feasible cause. Hi, I just received my EOR result. My speaking score increased from 6.5 to 7. I am very grateful because I can renew my Visa Screen Certificate. For all of you guys who are not satisfied about the outcome of your exam and are confident that you deserve a higher mark, just try for a remark. Nobody is perfect, even examiners have there inaccuracies. I have to appear for the IELTS test this weekend and all your comments making me feel scared. Any suggestions for me ??? Everyone knows people do business for profits. IDP AND BRITISH COUNCIL, OR ANY OTHER ORGANISATION ARRANGING ENGLISH LANGUAGE TEST ARE MAKING HUGE MONEY. IF CANDIDATE QUESTIONS DIRECTLY TO THOSE ORGANISATIONS , THEY DO NOT ANSWER YOU HONESTLY. I AM ONE OF THE EXAMPLES. LAST YEAR ,I HAD REQUESTED IDP AND BRITISH COUNCIL TO EXPLAIN ME WRITING BAND 8 and 7 PUBLIC DESCRIPTORS IN A SIMPLE MANNER. I MAILED THEM AND EVEN WROTE ON THEIR FACEBOOK PAGE MANY TIMES. I EVEN TRIED TO ASK THE SAME INFORMATION FROM THEIR OFFICES LOCATED OVERSEAS BY THE AFOREMENTIONED MODES OF COMMUNICATION. ALL I GOT WAS A BLUFF THAT WE ARE NOT ABLE TO EXPLAIN IELTS BAND DESCRIPTORS FOR SECURITY REASONS. THE POINT I WANT TO MAKE HERE IS IF THOSE ORGANISATIONS EXPLAIN THE BAND DESCRIPTORS UNAMBIGUOUSLY, THEN CANDIDATES, PERHAPS, ACHIEVE THEIR TARGETED SCORE. IF THIS WOULD HAPPEN, THOSE ORGANISATIONS COULD BEAR LOSS AS STUDENTS WOULD NOT TAKE THE IELTS TEST AGAIN AND AGAIN. Why they require band 7? I CANNOT STRESS ANYMORE TO TAKE THE IELTS TEST AS THE TREATMENT METED OUT TO ME BY THOSE ASSOCIATIONS IS STILL PAINING MY HEAD. I AM EXPLOITED BY THEM AND CANNOT FORGIVE THE IDP AND BRITISH COUNCIL FOR THEIR BOSSY AND. BULLY NATURE. I HAVE THEIR REPLIES IN MY MAILS . MY EXPERIENCE WITH THE TEST IS A MACABRE , PERHAPS. If i did 29 correct answer in listening test how much score i will gaet? I wasn't able to practice for my ielts test. Despite this i have scored 7. I had my test on 1st nov and still waiting for the results. Can u guys tell me is there any possibility of getting band 7 with around 32 raw marks? coz the test was difficult. You can check out raw score conversion tables here. I'am considering a remark for my 6.5 writing score. Is it ok to file for a remark? I need a 7 for writing. Guys is there any difference in the way writing and speaking is marked between both the aforementioned organisations. I have heard that IDP is lenient in subjective part of the test. Any one having any similar expreience? Well I think it's all luck.. I've given 3 attempts to obtain 6.5 overall with no band less than 6.0. So my question is what would have happened if an examiner tried to push it by 0.5 in writing? I've just got my ielts result. I am very depressed as i failed to get band 7 in writing and speaking. In fact, this was my 3rd attempt. I have done my best studying hard, having tuition and studied a lot of materials from the website for the past 10 months but still do not improving especially in writing. And this holds me from applying my australia working visa. I am very very sad. I really need some good advice as i am looking forward to giving up on migration. Guy's preparing for loong time couldn't reach more than 6.5 writing modules..Any tips to reach band 7? I appeared in Nov 2014 for an academic version and got an overall band 7 with 7 in all sections. The scores left me disgruntled as being a student Of UOL I have been writing 359-500 word assignments on daily basis. I was very confident to achieve an overall band of 8 or at least 7.5, as my writing skills have been honed by a University that is so renowned and UK based. Anyway I decided to take the exam again and appeared exactly after 20 days.Guess what?? ?surprise ...surprise.... With an overall band score 7.5, I got 6 in writing 😈. It was totally unbelievable,infact ridiculous and shocking. I am now confused what should I do? Should I claim for a recheck or should I retake the exam? What's your take? Any suggestions!! how I inc. my bands? In my first attempt I got only 5.5 bands after 1 month practice. Now I hv 2 Mnths to prepare myself for 6.5 bands. I have booked 2 dates. Is booking 2 dates one after other should beneficial for me? Hey did you take the exam through IDP or BC? Can anyone help me to improve the reading because I need at least 5.5 in this section. Give those people a fair go! I think the Department of Immigration and Border Protection (DIBP) should review its policy of one of the PR visa to Australia requirements – example the IELTS test score band 7 in each of the four test components. There are thousands international students graduated in Australia universities with various degrees but fell in IELTS test band 7 in writing (in most cases) component and a lots of them have been trying many times. Should Australia education needs to be reviewed as well? In reality, those people come from English is not their first language countries, but obviously their English proficiency have been improved since they have been studying in Australia. There are numerous successful evidences that international graduates have become PR or Australian citizen prior to 2011 the year when the test band 7 implemented. It is no doubt that setting up the English language proficiency stands for various studying and immigration purposes are necessary. However, DIBP should give those Australia graduates a fair go! I would like strongly suggest that an overall band scores should replace the test band 7 in each of the four components. i need help to increase my ielts band score.i attemped first time i got band 5.5. I got 7 in writing even though I made some mistakes like using of the contractions. My Scores are L-8.5, S-8, R-7.5 and W-6.5 and I need to get 7 in each module. I do not have enough time left as I have applied for Australian PR early last year and only thing pending is my English Test Results. Someone even suggested me to take PTE Academics as it is quicker and easier but I was unable to prepare for it due to the lack of study material available online. All you have to do is do a lot of papers and use language that is not so frequently used by commoners! Sit with a dictionary if you have to.. But believe me you guys can do it! I am trying to get 7 in Writing too. My score has dropped down to 5.5 from 6. I don't know...I don't think I can improve it any more. IELTS authority intentionally grade below 7 to all students. They do it for earning money. There is no doubt in it. Whatever mambo jambo the authority tries to explain, they can't convince. I've sat 3 ielts acad modules in a span of 2 years. My first attempt was in IDP acad L7 R8.5 W7.5 S7 2nd was in BC UKVI acad L7 R8.5 W6 S7 finally BC UKVI acad L8.5 R7 W6 S7. I think they are purposely failing you in a particular area. My purpose for getting the UKVI acad is for visa and I was told that the acad module of the regular ielts and UKVI are no different so why am I consistently getting a 6 in writing? I've enrolled to an English tutor online and bought several practice exams and still.. I'm planning to have that controversial EOR. I heard that your score (speaking or writing have a better chance of an increase by .5 or 1) can go up by remarking. I still hate the fact that junior examiners should initially check the writing area. Aren't we entitled to have a second check/remark when in the first place a senior or more qualified examiner rechecks our piece? It's really frustrating. I've emailed them and am awaiting for their reply. Requesting for an EOR takes time, effort and most importantly money!!! I applied for a remark immediately in writing as I needed a minimum of 7 and was only short by 0.5. After 6 weeks I got a response from IDP that my score remains unchanged! I am very puzzled as to where I may have gone wrong in the writing section. I tried my best to work according to the marking grid that the examiners use to assess our papers, though still fell short by 0.5. First time i got Writing 6. 1) If someone has to improve in writing only then why he has to re-appear in all of the modules ? Why can`t he/she be allowed to appear in only specific module ? So they know, which aspect to improve next time. Is this too much of an ask ? I myself has appeared 5 times and only once I scored 7 and rest of the times I was pinched at 6.5. Yes, IELTS is a business. I don't think anyone would claim that they are not. Exactly! IELTS a business to loot people`s hard earned money. What are your views on questions I asked ? 1) Sitting only specific modules - this would be extremely complicated to administer. People getting different scores at different times in different sections etc. Although it would be convenient for candidates, I am guessing this is why they do not do that. 2) Getting scores for each module - Yes I agree it would be great for candidates to know the exact scores for each criteria in the writing. Why they don't do this I don't know. Again it may be that it would result in too many queries over the score which would create a lot of administration. IELTS Academic 4 times so far. I am a nurse looking forward to work in UK soon. In order to get myself professionally register in the UK I need to score minimum 7 in all modules of IELTS. So far I took IELTS 4 times. I got maximum 6.5 (two times) and 6 (two times). I believe, I can overcome this hurdle and achieve 7 since during all my previous test I never had time to read what I wrote and make few corrections which I feel could have been there in both my writing tasks. However I assume that IELTS is indeed a money making business. There are lots of examples you find when you read all the above comments. I felt devastated when my result was out last time. I thought to take a break and seek an excellent English writing teacher although i did not find one. After a couple of month gap I am gonna again start preparing for IELTS. With a hope, prayers and my hardworking efforts I would be confident to achieve more than 7 If I write according to the framework of what is required to score 7 !!! I took the Academic IELTS twice. As you can see, the only problem is WRITING! I still got 6.5 though I was eminently prepared for the writing test on my 2nd take and I even attended review sessions. What are they really looking for? 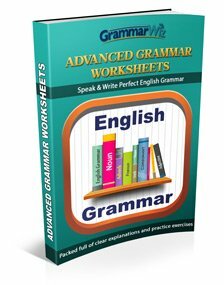 I used less common words in my writing and I was confident about my grammar [since I have experience in training grammar to English teachers]. I also know some people who took the IELTS and got 8 or more in R, L and S but only 6.5 in Writing! It's not possible to know why you didn't get 7 without seeing your writing. (1) Not analysing the question properly - candidates start writing an answer without checking they have fully understood the question and without doing a plan. You won't get a 7 for Task Response if you don't fully answer ALL parts of the question (not having a plan could also mess up your mark for coherence and cohesion if things are not organised well as a result). (2) Making grammar errors - the standard for a 7 in grammar is quite high. Most your sentences are expected to be error free. This is quite difficult to achieve for most people. As I said, this might not be why you are not getting a 7, but the reasons above are often why people struggle. i want to know how much time it will take to improve my ielts score form 5 to 6.5? 5 to 6.5 is a big increase though so you should potentially be prepared for it to take quite a long time. I sat the Ielts exam last year and my result is R-8.5, L-7.5, S-7, W-6.5. I am now considering resitting the exam as I need to achieve at least 7 in every component, but I feel that I cannot do any better, as I was generally satisfied with my writing at the exam. Actually I was expecting a 7.5 and I am pretty baffled by the result. Could you please give my your opinion on how much time is necessary for preparation before resitting? I also take into consideration sitting the CAE, but I am quite scared at the prospect of completely changing the format of the exam. What do you think I should do? I am extremely stressed as I have to make a decision as soon as possible. i will be taking the ielts test on the 2nd of April 2016, took it twice before and even tried the PTE... my score was 8, 8, 7, & 6.5 on writing! what can i do to jump to band 7 in writing? I have followed all the instructions addressed in this website but my writing score remains the same. Other criteria have improved remarkably which now give me the stable score of 7 in Reading, 8 in Listening and speaking. My writing does not move from 6 for more than 3 years. Any suggestions or explanation on the facts that why this score did not change for last 3 years? Also could you pleaee provide me some suggestions on how to improve my writings? I am not sure why all of you are frustrated. I have given my exam last month without any coaching and just did 4 sample papers before going for the exam. If I can do this with a weeks study I think anyone who study's for a month or so should be able to get good score. I am over the moon as it took me 6 attempts. You `ll be surprised to know that in my first attempt I scored 7+ in all modules but after three years I failed four times before getting 7 in writing. If you are stuck at 6.5 then trust me I know how it feels and I went through same hell for the last year and so, but finally I cracked the IELTS writing. I used one trick and it got me through. I MEMORIZED PHRASES from 9 band essays. Now what you need to do is find essays of 9 band for each category and start memorizing them, yes literally MEMORIZE them!! This allows you to go through the introduction and conclusion section pretty quickly in the exam. Even you will make topic sentences efficiently. That solved half the problem. Crux is, you have to put your thoughts in the most appropriate phrases you have memorized and that`s all. I literally did this and got through. I was stuck at 6.5 and if you're too then you are good enough writer to get 7, trust me on this. You just have to avoid grammatical mistakes and this technique simply does that. P.S: You can check my comments on this page. I was so frustrated in those days. Thanks for sharing your experience and ideas and well done for getting the score you need. However, you have to be very careful with what you are suggesting. Part of learning a language is learning 'groups' of words or 'phrases' and 'collocations' (rather than single words) and then you learn how to put them together. It may have worked for you, but it may not work for some people. Examiners will notice if certain parts look much better than others because the students has learned lots of fixed phrases. Learning what collocates and the odd phrase is fine as long as you have the skill to incorporate it into your essay properly, but if someone has lower skills the examiner will notice if they have poor grammar then some phrases with excellent grammar. So yes, by all means look at band 9 essays and if there is some good language you can learn to use yourself, then do so, but you need to be careful to make sure that what you are using works correctly in the essay your are writing, grammatically and according to the topic. It looks to me that the problem is with the Indian mode of correction. I was getting 6.5s in my initial 3 attempts in Writing, now, without any further practice, I got a 7.5 when I appeared in UK. They might and will say that its uniform through out but you have my case to see. Either UK's IELTS marking is lenient or India's IELTS marking has purposely been made strict. Or its the people who correct, since people back in India who correct the papers are actually teachers or professors who have never been outside India and do not understand the objective of people appearing IELTS. One need not be an MA in English to get a 7.5, purpose is to communicate well and these people somehow think they are paying out of their own pockets when they check papers. Hi all, many people say ielts is not a business, but some believe it is a business. Whatever it may be, if we think logically, a person who wrote the exam and achieved 7 in all score, it is obvious that he will not write again. It means its a loss for the ielts organisations. Personally i believe, in writing module, before evaluating the papers, they are prepared not to give marks by finding a small errors which will reduce your marks, therefore, people lose writing module and they have a reason for that. Another concern is handwriting. If they don't understand a word, probably they will not spend time to read it again because there focus is to find mistakes rather than providing 7 in writing module. I just got my result yesterday. After reading this post, I am not feeling alone anymore...I took the exam 2 times. When I received the result, I JUST COULD NOT BELIEVE it. Before taking the second exam, I spent the majority of time practicing writing. I read ielts-SIMON.com, wrote down all the band 9 phrases & vocabulary, asked a friend of mine who is a native-speaker to review my essay. Literally everything I can do to improve and I got a 6. I gave ielts exam 3 times and I scored very bad first time. I scored: lis-5 reading-4.5 writing-5 speaking -5. Second time I scored lis-5.5 r-5 w-5.5 s-5.5 but third I scored again 5 as like 1st attempt and I gave my exam in idp Ist time, I gave in jal city and next 2 times in Amritsar. My parents are shouting at me pls pls pls anyone suggest me what should I do now? Should I give up or do work hard to give exam again in BC. Give me the best solution so I can go out from this problem as I consider you my good pathguider if the solution will best pls help me. Sorry to hear your parents are giving you a hard time. There is nothing though that can really be said apart from the fact that you need to keep studying English until you improve. It can take a long time for some people to even go up half a band, but even longer for a whole band. It takes time to learn and improve in a language. Really your best chance of improving as quick as possible is to do as much English language studying as you can. Of course your best option is to do some English or IELTS classes - you didn't say whether you are doing that or not. Maybe it is not affordable for you. It would also be useful to get an experienced IELTS instructor to check your work to advise specifically on where you are going wrong and where you need to improve. You may find some tutors online that are cheaper than face-to-face, though face-to-face is obviously always better. So yes, keep studying hard, but don't rush to take the test again until you have improved otherwise you will be wasting your money. A little introduction, I took the IELTS examination last June 25. We were informed that results regarding the exams would be released exactly 13 calendar days after the test date. To my dismay, my boyfriend and I got a band score of 6.5 on the writing task with which led me to this forum. I am infuriated because this was the only skill that pulled our chance to pursue our professional career. Prior to taking the examination, we did the necessary preparations, focusing on the writing tasks more, as compared to all other skills. If it is okay with everyone, I am partly curious as to which test center was your preference when you applied for the exam. Speculations have risen that one may be more lenient in giving a better band score than the other. If this is true, we might as well try and take the exam through a different test center. Hi there! I also wrote the ielts academic module last June 25th. Already sat the ielts five times (BC & IDP alternatively) and still, my writing result is always 6.5 although I scored flat 8s on other parts. I took 4 tests in Manila IDP, then took one (most recent) in Baguio IDP. And guess what, writing part is still unchanged. So, I'm not really sure if this would affect your grade. I even availed of ielts blog online essay checking service and scored fairly well according to the checkers. It doesn't make any difference which centre you use. They use exactly the same marking systems and examiners are trained in exactly the same way. The tests are also exactly the same. Some people think there is a difference because they go to one centre and get one score, then go to another and get a different score. But this is nothing to do with the centre - scores can vary because you may simply do better one time than another because the questions vary each time of course, and other factors could affect you on the test day. If your teacher gave you two essay questions at the same time, it is quite possible to do better on one than the other simply because you find one easer to answer than the other. I scored PTE 80 above in all four modules (equivalent to 8) however my overall score is 78 that is equivalent to 7.5. Do I qualify as Proficient or superior speaker? I read the visa requirements for superior speaker and it just states 79 above (8) in all modules no mention of overall score requirement. Pls if someone can advice. Hey !! Seniors which have given ielts .i want to ask about it.how i can get 7.5 or 8 bands .How i can improve my listhening , reading and writing skills.Please suggest me a book or website where i can get prepration.Thanks. IELTS is making money out of our misery. My first thought after getting my result was that there is something wrong I should get it rechecked. After reading the reviews on Google, and as per my other friends' personal experience, I think this is a Hoax and conspiracy to hold 0.5 marks in 1-2 sections so that a candidate has to attempt IELTS again. Hence generating more Revenue for the company. But I want to attempt IELTS again with all my force. I have to be +ve and aim for 8 so maybe I'll get 7 in speaking and writing. All of us who are taking the IELTS test are non native speakers, because native speakers are excepted from the language exam. I just wonder if we have made it by ourselves up to the level of 6 score, how would it be possible to raise this score with out being involved in the fields that we are aiming to? (if its a higher education or trying to get a job). They want us to be as good as the native speaker, but with out having the chance to get to work or to be accepted in the field of study. It's just like telling some one that you are not allowed to jump in to the swimming pool till you learn to swim like a fish first. The average of my friends ends up paying between $2000 -3000 to get the chance to score 7 or above. Ironically, some of them failed another 2 exams after succeeded a previous one. One final thing, what is the point squeezing the exhausted candidate in a very limited time? Like many others, if I could just manage to get more time, I'll easily score band 7 or may be even 8? simply not all people are as fast as road runner, and I find it difficult to write a nice looking paragraph like the required writing task using my mother language, as the one needs extra time for revising any kind or work. such a big waste of money and efforts. Just a couple of points about what you said. You are not expected to be an expert in your field that you will study in at university e.g. business, science. That is nothing to do with the IELTS test. IELTS is testing your level of English, that's all. Also you would not be expected to be at the same ability as native speakers. If a course required you to get a band 7 to be accepted, that is the level of English the university feels you need to successfully complete the course, but obviously native speakers on your course are likely to have a better level of English than you. Remember it is just an English test to check you have the language skills to complete a course you apply for. I have 4 ielts test. But I need 5.5 ielts test. I want 6 band in ielts. What I should do for that??? I want 6 band in ielts so what point I must concentrate and what are the ways which helpful me to get 6 in ielts writing session. I scored 8.0 bands overall. L8 W7.5 R7.5 S9. This was my second time taking IELTS, My writing score jumped from 6.5 to 7.5. According to me, well organized essay is all that matters for good score. You need to write an essay which is complex and easy to read. Your thoughts should be in line not scattered all over. If anybody needs their work checked for mistakes, and need my opinion how it can be improved.Please feel free to send me copy of your work at ranadhaliwal89@gmail.com. I would be happy to help. how I get 7 bands in 15 days. I want to get total 7 bands in just 15 days. I have only 15 days till my exam date so plz help me.i am waiting for your answer. Nobody is going to be able to tell you how to get a band 7 in a few sentences. There's too much advice which is why you have websites such as mine on IELTS or people attend lessons for weeks. Take a look at the website - if you have 15 days then that's plenty of time to look through it and so some practice but whether you can get 7 or not depends on how good your English is. I got 9 each for reading and listening and 7.5 each for writing and speaking. Guys don't lose hope. Just practice well. Try to hone your writing skills. For reading you have to practice twice a day. It's easy you all can do it. IELTS is certainly not a gauge on your English abilities, instead its a filter that maintains immigration quotas. What if every body got 7 band, immigration criteria will become tougher and toughest...so it depends on your luck..no need to do heavy preparation.. It took me 3 attempts at IELTS to score a 7 band in writing. I got 6.5 Band twice in IELTS, even though I am fluent in the language and have been using it for the past 25 years. I was scoring 8.5-9 in all other segments. I got my essay assessed by a professional who pointed out a single mistake (cohesive) that was costing me .5 in my band score. Would highly recommend before taking the test if you have any doubt, get your writing assessed by a professional, as the essay has to be written in a certain format and the marking criteria is pretty lame. IELTS does not care how well you write, it all depends if you give them what they want or not. $20 -$40 investment will save you the hassle and money. Most of you guys out there are using wrong English for eg, you don't 'give an exam', you 'take an exam'. If you make such mistakes in the test, sure, it is a straight .5 deduction in your score. Scoring band 7 in writing is difficult because most of the people misinterpret the question. It is very important to understand "W" questions properly and they are What, Why and When. The other most common mistake made by the test takers is not addressing every part of the question. It is very important to create a writing flow and a clear transition from one thought to another. I took my time to read almost all the comments posted here. In a few words I'll share with you how i got a band 7,5 in GT. Even with all the resources available, one may not be able to get the desired scores. I didn't buy any study material, i used youtube videos for listening practice and a few websites for reading and writing practice. If you go to YouTube you will search "ielts listening practice" there are enough videos to equip you with all the skills you need. For writing, after you register for ielts, you can access some writing tips on ielts website (only for those who have already registered to take the test). Another important aspect is on the quantity of your text. I assume that since you want to take ielts, English is obviously not your first language. You need to use more words to express yourself. So when it comes to writing, use more words, more vocabulary. All I'm saying is, writing more than two pages in each task. Personally, i wrote 3 and a half pages for each task. As far as speaking is concerned, you need to practice speaking in English, think in English, try and watch lots of movies, series, news, commentaries etc. I had a 7 in speaking. Although i was nervous, i managed a good mark. Last but not least, while you practice reading, don't forget to time yourself. I had only 7 practice papers. What I need was to make sure I would finish each within 40mins. I never had a problem with my final. I had a 7. In conclusion, you cannot achieve a 7 in all components if you don't put enough effort. In your writing, answer to the demands of the question. Understand how many aspects of the question you need to address, come up with a good structure. By structure i mean, a good intro that briefly addresses e question, advantages and disadvantages and a conclusion. Its that simple. One last thing, when u read a question, try and write down all necessary words (vocabulary) that u can used to answer the question. Its show-off time, show the examiner u know your VOC.